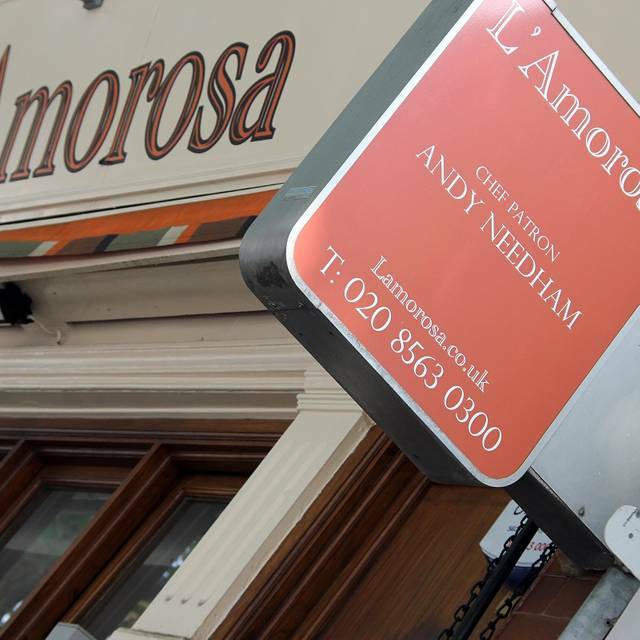 Andy Needham, who spent 15 years at the Michelin-starred Italian restaurant Zafferano in Belgravia, launched his new restaurant, L’Amorosa, in Ravenscourt Park, West London, in September 2014. 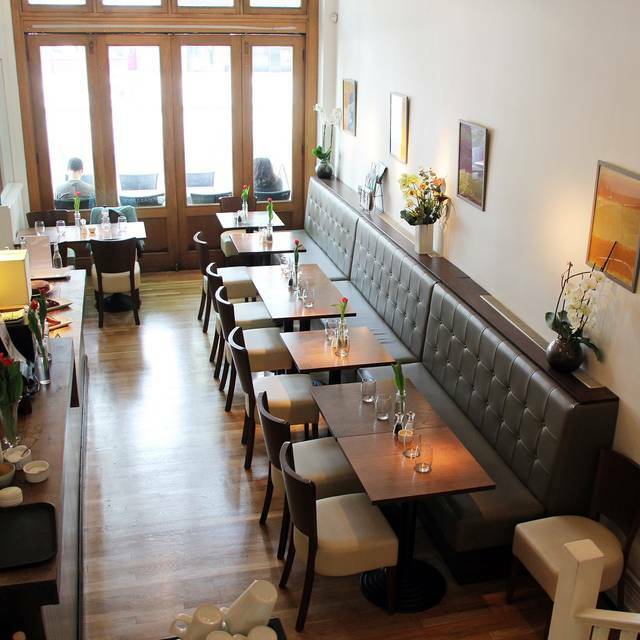 The restaurant has already received a Michelin Bib Gourmand and Hammersmith & Fulham's Best New Business award. L’Amorosa offers informal, modern Italian cooking, using a combination of the best British and Italian seasonal ingredients sourced from the same suppliers used in Belgravia. Accompanied by an all-Italian wine list . Michelin star quality Italian food at reasonable prices. L'Amorosa always appears to be an undiscovered gem though it is never empty. Nor is it ever very full. There can be no doubt that the chef, Andy Needham, is totally on top of his game. He was head chef at Michelin-starred Zafferano in Belgravia before setting up shop here. A small menu using fresh, top quality ingredients executed with total confidence. And a reasonably proced wine list too. If there is a better example in west London I'd love to hear about it. Food was stunning. We shared a beautiful buffalo mozzarella salad starter and ordered some home made bread which arrived with olive oil. Main course was pasta in a delicious brocolli sauce. We then each had a dessert, mine was Tiramisu and my friend ordered apple tart with ice cream, which she said was superb. Haven’t been to the restaurant for about 6 months but it continues to deliver authentic Italian food, freshly cooked with an excellent choice of good value Italian wines. Cuttlefish starter (3 of us had) was the highlight of a very good meal. Excellent service as usual from the manager and the waiter. 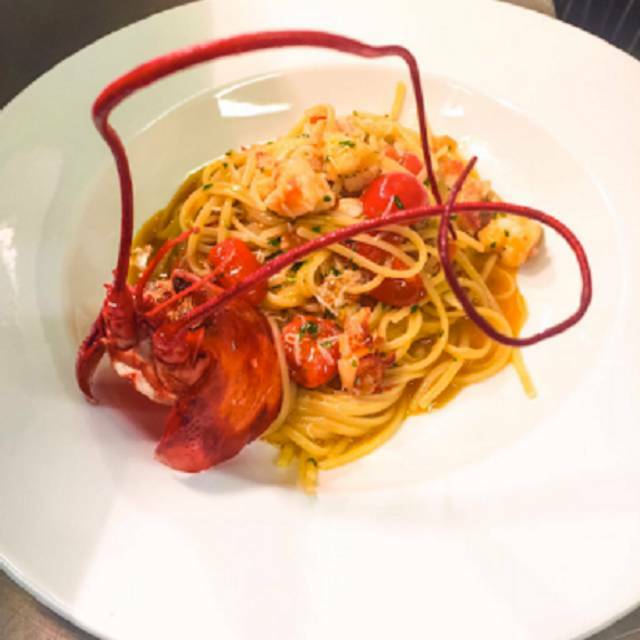 Exceptional food and service, L'Amorosa stands out with the best Italian restaurants in London. Excellent quality food at a reasonable price. Thank You. Great for some pasta and a glass of wine. Unusual, fresh & delicious. Service slightly misfired on occasion, but overall friendly & hospitable. Worth a look if in the area. My third trip to L’Amorosa which never fails to deliver an exemplary dining experience. The food is fresh, seasonal, generous in flavour and amount and a pleasure to look at. I haven’t explored the wine list so can’t comment on it. The only slight niggle is that the service can be a bit slow if the restaurant is busy but that’s a small price to pay for having such a quality neighbourhood restaurant. L'Amorosa seems to have lost its way. 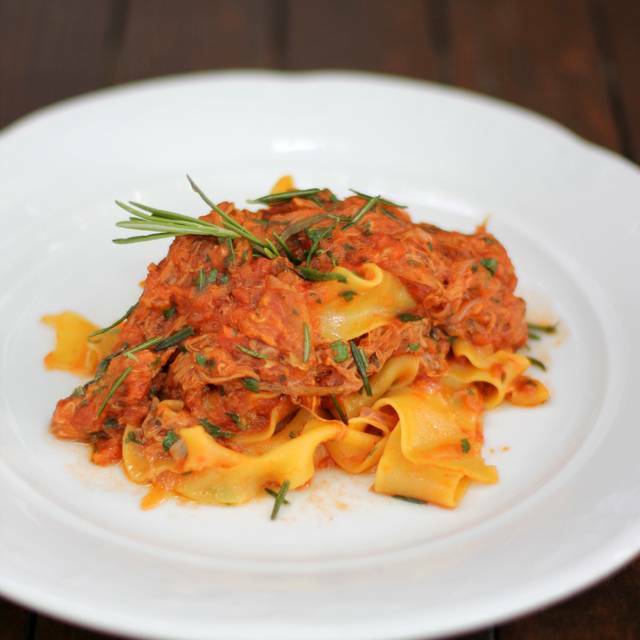 The remarkable dishes of carefully prepared, extraordinary pasta have given way to big plates of everyday carbo fuel. The service is loud, careless and free/dull pudding does not compensate for any of this. Food and wine were both excellent! The staff was very friendly and professional. Lovely restaurant, with strong Italian vibes. I would highly recommend. Excellent food. Quiet calm restaurant with good service. Delicious Italian food but more than the usual pasta dishes. Beautifully presented and very tasty. Not cheap though. L’Amorosa has absolutely outstanding food, delicious wine and excellent service. It is an extremely impressive restaurant, infinitely better than much more expensive competitors and a great deal more enjoyable. Highly recommended. Excellent all around. Went for lunch and was not disappointed. Will definitely return. This is one of my favorite restaurants in Chiswick/Hammersmith. I enjoyed a delicious, quiet dinner by myself last week. The staff is so nice and the food feels so healthy and fresh and seasonal. We thought this would be ordinary Italian food. 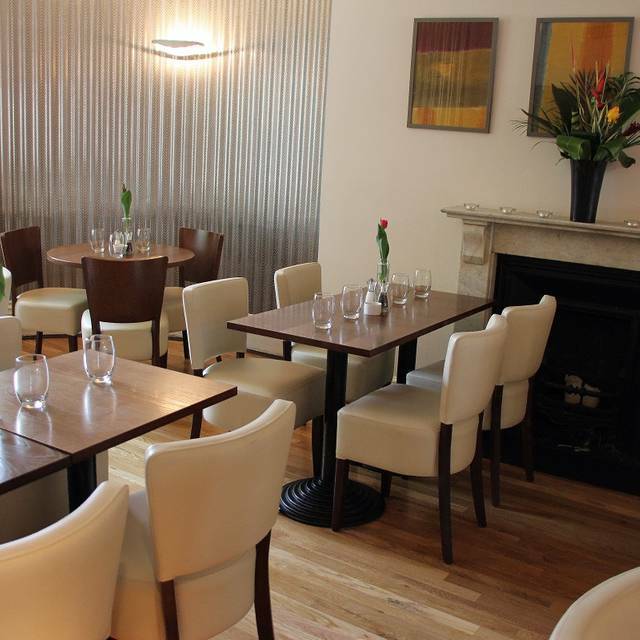 L’Amorosa is high end Italian food on the high street. Food is great and very tasty. Wine by the glass very reasonable priced. In a world where paying way over the odds for something as basic as a burger n fries is the norm, it’s great to go somewhere that knows how to do delicious food at a sensible price. I had pasta parcels stuffed with shoulder of lamb in a ragu and it was worth every penny of its £16. Would highly recommend L’Amorosa. Was awesome place. Small but great menu. We had pasta with lamb ragu, just incredible. And service felt like being served by a friend. When we are in london again, we will return. New Yorkers who love finding gem restaurants. lovely evening in this local restaurant. Its the second time I've been - really enjoyed the food. Fantastic! 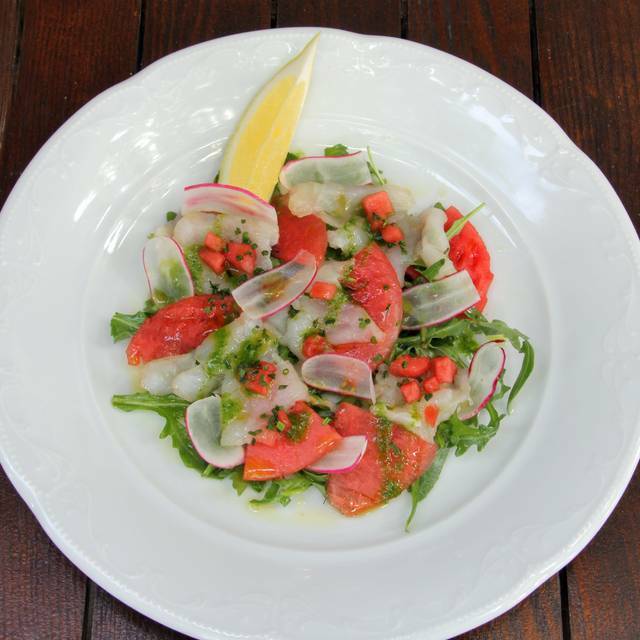 Lovely neighborhood spot with top-notch Italian cuisine from an inventive chef. Go - you'll love it! Beautifully cooked dish of ravioli containing burratta and prawns in a tomato sauce. with style by Hannah. Vermentino excellent to match. Beautiful food prepared by a chef who knows exactly what he is doing. The menu is concise so the chef is always in control, and I have paid much, much more in Mayfair for food nowhere near as good. All in all, a very good night out that even impressed my mate, the CEO of a large company who has eaten well all over the world. friendly waiting staff. Nice election of dishes but perhaps slightly limited. Slightly pricey for a neighbourhood restaurant. Another very pleasing dinning experience in L'Amorosa. Food is fresh, unpretentious and authentic!! Service is charming and efficient. Will be making another visit soon! Another fabulous evening at L'Amorosa. 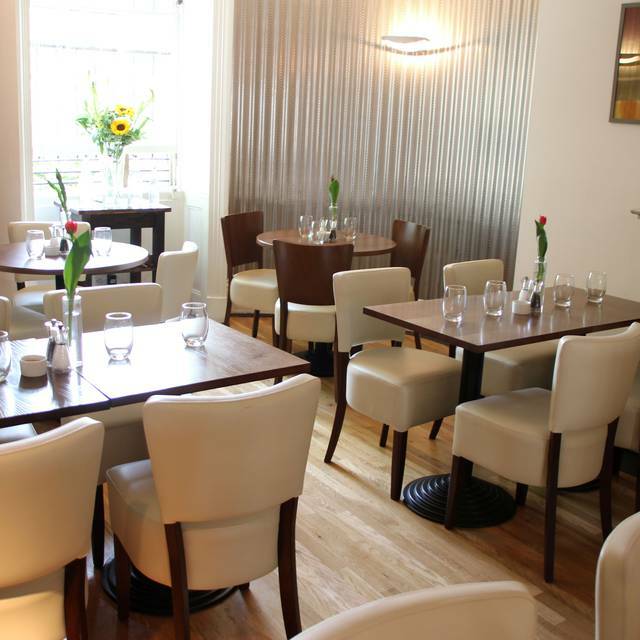 The food is consistently of excellent quality and the staff are friendly and helpful. We arrived late after a show but the staff were charming and hospitable. Best to get there before 9.30! This is a real Italian restaurant, congratulation to the Chef who really knows how to prepare authentic Italian food. The price was absolutely honest for the food we had. The setting is just perfect, really comfortable and warm. Finally, the service is amazing, Damiano was really friendly and professional with us. Service was excellent and food was really tasty. We enjoyed the recommendations suggested to us. The waitress knew her food and wine! Fantastic local restaurant, we eat here very regularly. The food is always excellent with interesting daily specials. The staff are friendly and the atmosphere is friendly too. The food would not be out of place in a top, central London restaurant so I am doubly delighted to have L'Amerosa on my doorstep. Superb food at an excellent price just around the corner. It is everything you would want from a local restaurant. Good quality and value, interesting dishes but not contrived, friendly service, seems reliable. Three visits now and never disappointed. 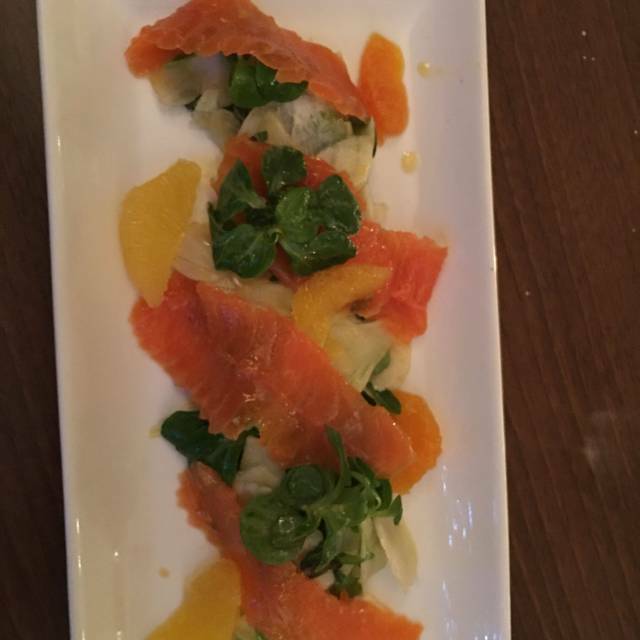 Top notch, authentic Italian food, prepared with care and attention, using excellent ingredients, all attractively presented by a great chef. Nicely decorated, understated locale where people can talk without any deafening music. 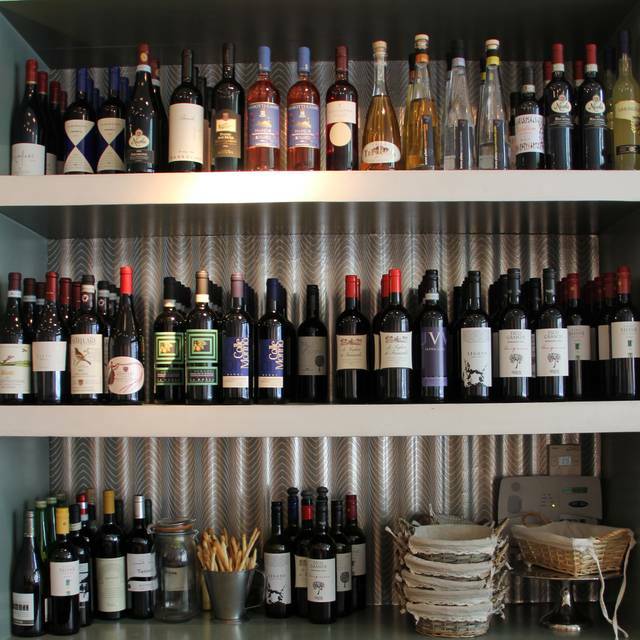 Good wine list with lots of choice at different price points. Portions well thought out and generous. The chef was visible, and clearly enjoying his work . Excellent espresso, and dishes of the day were excellent too. The lasagna was not good; and risotto disappointing; but pomodoro kid’s portion hit the spot, and started were good. Great service from friendly staff. Will go back cos it’s local and has been better before.